Diesel Cars meets need of Economy Drive? The 1.0-liter diesel engine has been developed by GM's engineers in Europe and modified to suit Indian driving conditions at the company's technical center in Bangalore. 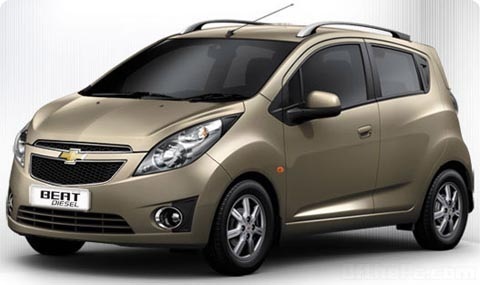 GM India also sells a 1.2-liter gasoline Beat car. Diesel costs 41.29 rupees ($0.93) per liter in New Delhi, compared with 63.70 rupees per liter for gasoline, according to the web site of fuel retailer Indian Oil Corp. The government controls diesel prices, while fuel-marketing companies can fix gasoline prices. The Indian car market used to comprise 30% diesel vehicles and the rest gasoline-run ones, Mr. Slym said. "Of course, that has changed, all thanks to the pricing of fuel." "Over the last 2 months, 6-7 of every 10 customers planning to buy a car have opted for a diesel variant"
Sales of diesel vehicles have experienced a compounded annual growth rate of 22% between 2005-06 and 2008-09, while for petrol it was 12%, clearly highlighting the shift in preference. “Despite diesel vehicles being priced higher than comparable petrol models (around Rs 1 lakh higher), their higher fuel efficiency means lower running cost, which is attracting customers,” said Majeed. And here this specially tuned suspension for Indian driving conditions & customer preferences, Chevrolet diesel Beat base model cost 429,000 rupees, top-end model 545,000 rupees. While more people prefer to buy diesel vehicles due to lower cost of the fuel, Introducing diesel will likely help GM to augment sales in Asia‘s 3rd largest automobile market.